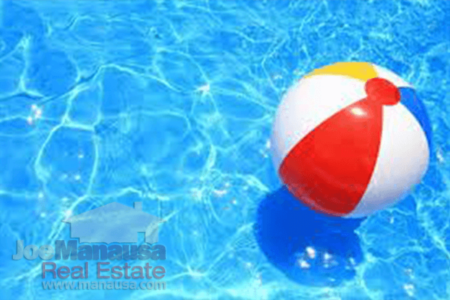 Tallahassee: What Is A Swimming Pool Worth When Selling A Home? What Is A Swimming Pool Worth When Selling A Home? I was speaking the other day to local appraiser Greg Lane when he informed me that swimming pools seemed to be adding more value to homes when sold lately. 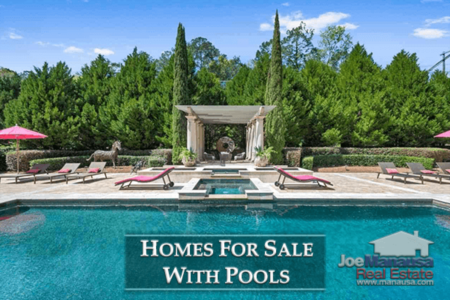 I felt this was a perfect topic to explore on the Tallahassee Real Estate Blog, so today we've featured all homes for sale with swimming pools and then followed this with an attempt to determine the real value added when a home is sold with a pool. For years, homes being sold with swimming pools have been credited between $10,000 to $15,000 by appraisers because "that's what it is," yet we've been noticing that buyers are willing to spend significantly more than this if a home has a pool. Swimming pools are far more expensive to install today than they were fifteen years ago, so perhaps using a rule of thumb of $10K in value no longer makes sense. Additionally, when loan underwriters fail to acknowledge adjustments due to pools that exceed $15K, they too are relying on out-dated information. Not all swimming pools are alike, but you will find that their valuations will tend to ignore large pools from small pools, liner pools from concrete pools, etc. Basically, a pool is a pool, and the lack of a pool is merely a home with no pool. Black and white. No gray area. In order to minimize this impact, we took a different approach. We've segmented the market in such a way as to do a better job of comparing "apples with apples." Segmented the market by home size (generalizing that larger homes will have nicer pools than will smaller homes). Segmented the market by frontage (generalizing that homes on a lake or on a golf course would likely have nicer pools than those on interior lots). While these are certainly not always true, generally they are. From this framework, we've been able to establish a swimming pool value for each year. If you can't read the numbers in the table above, a graph is included below that is easier to read. The graph below shows the average value that a swimming pool added to homes that sold each year (for homes that range in size from 1,000 to 5,000 square feet). Only existing home sales were used (meaning no new construction), and homes on lakes and golf courses were elimated so that just homes on interior lots were considered. I find it interesting that values were not always positive (meaning in two separate years, homes with pools sold for less than those without). Pool home prices went crazy-high in 2006 (when the entire housing market went crazy then collapsed), and they were negative only two years later. What our graph reveals is that, on average, a home on an interior lot with a pool (versus the same with no pool) has seen the value of the pool nearly double since 2003. I think appraisers (and real estate agents preparing to market a home for sale in Tallahassee) should expect the market to value pools $37K higher than those without, with adjustments being made for pool quality. A cheaper pool would only be adjusted downwards slightly, whereas a super costly high-end pool would only be adjusted upwards slightly. Why only the slight adjustments? Years of experience working with buyers who rarely ask more than whether or not a home has a pool (as opposed to asking who built the pool, how was it constructed, what type of equipment is it running, etc.). 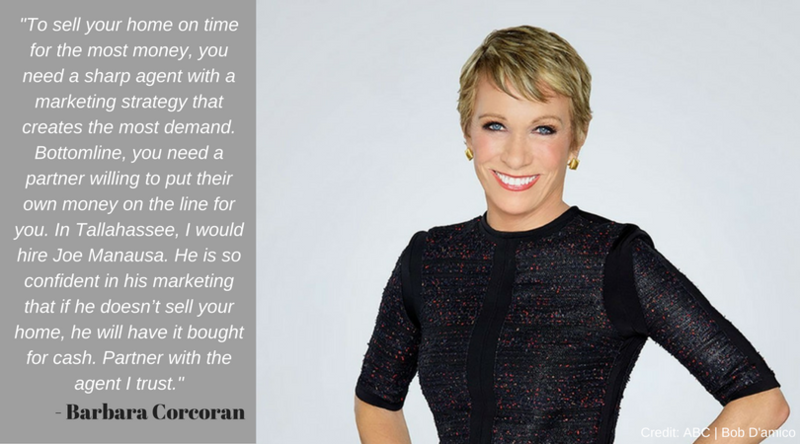 If you own a home without a pool, you should know that you very likely will not get your investment back if you decide to add a pool and then sell your home. You should add a pool because you want one, not because you think it adds as much value as it costs to build. If you are selling a home with a pool, and your home fails to appraise, ask your lender or appraiser how they valued the pool. If the number was below $37,000, show them this article and ask them to make an adjustment. As always, if you are preparing to enter the real estate market in Tallahassee, we would love a chance to earn your business. Simply give us a call at (850) 366-8917 or drop us a note and we will be in touch right away. Do you want to know what our clients have to say about working with us? You can see their reviews reported on Google, Facebook and Zillow right here: http://www.manausa.com/testimonials.